Should I clean before you arrive? No, you are paying us to clean! We do ask that you remove personal items from cleaning areas (i.e.,papers, money, bills, etc. ), clear dirty dishes from sink and counters, and put any dirty laundry in a hamper. Also, open all doors of rooms to be cleaned; we do not open doors to ensure your privacy is respected. What if i'm not happy with the work? We pride ourselves on high quality cleaning. In the event we do not complete a job to your satisfaction, let us know within 24 hours and we will rectify it at no additional charge. We here at CBH love our furbabies, but they are a distraction when we are working. If they could play outside or take a nap while we work, that would be wonderful. Unfortunately, we do not offer pet services as part of our profession. Therefore, we do not clean cages, tanks, kennels, feces/urine, etc. 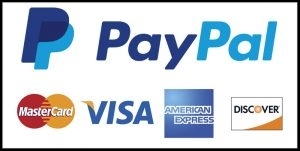 We accept cash, checks ($25 returned check fee), PayPal, and all major credit/debit cards. We do not provide estimates over the phone, instead we provide in-home estimates. This allows us to determine the amount of time we need for each job, as well as to ensure we are fully prepared. Remember, our estimates are free!